Management Trainee (General), Management Trainee (Depot), Management Trainee (Movement): Graduate degree or equivalent from recognized University with minimum 60% marks or CA/ICWA/CS. Management Trainee (Accounts): Associate Membership of the Institute of Chartered Accountants of India or the Institute of Cost Accountants of India or the Institute of Company Secretaries of India. Management Trainee (Technical): B.Sc. (Agriculture)/B.Tech/BE in Food Science/Food Science and Technology/Agricultural Engg./Bio Technology from a recognized University/an Institution approved by AICTE. Management Trainee (Civil Engineering): Degree in Civil Engineering from a recognized University or equivalent. Management Trainee (Mechanical Engineering): Degree in Mechanical Engineering from a recognized University or equivalent. Management Trainee (Electrical Engineering): Degree in Electrical Engineering from a recognized University or equivalent. Online: In case the candidates are applying online, required to apply Online through www.fcijobsportal.com, the candidates have to fill all the details, then take a printout of the filled Form, affix photo and put signatures at designated places and at all pages and then send the form along with Demand Draft / SBI Bank Challan and self-attested photocopies of required certificates at the address: “Post Box No. 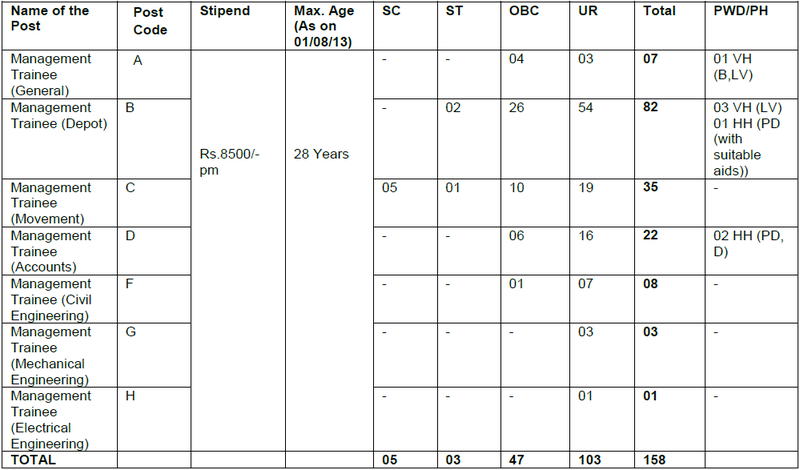 35, Sector-19, Noida-201301” by ordinary post only. Offline: In case the candidates are applying offline, download Application Form from www.fcijobsportal.com or neatly type the Application Form in A-4 size paper as per details in the Advertisement in the prescribed proforma. The candidates have to fill all the details in the Application Form, affix photo and put signatures at designated places and at all pages and then send the Form along with Demand Draft / SBI Bank Challan and self attested photocopies of required certificates at the address: “Post Box No. 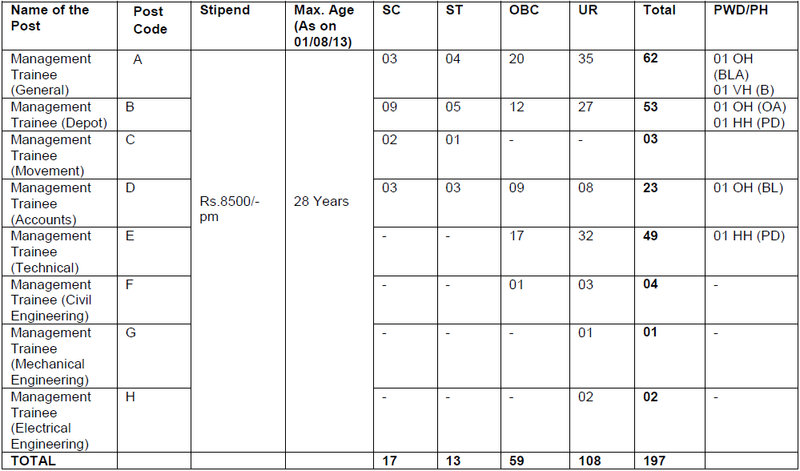 35, Sector-19, Noida-201301” by ordinary post only. For more details please download the full Recruitment Advertisement from the link provided below. Visit later for Admit Card download link & other updates.